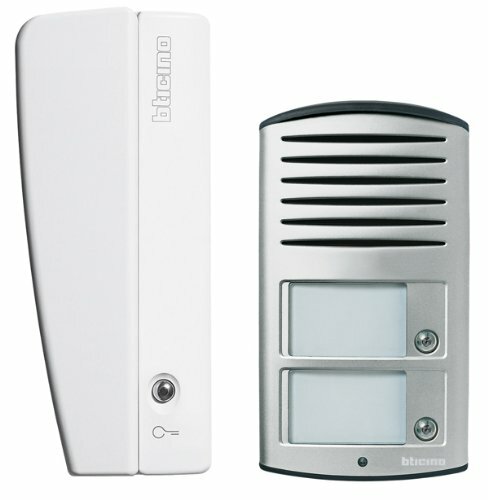 Legrand Swing 368021 Intercom Audio Set 2-Family Surface-Mounted Aluminium. Legrand 368921 2-F Kit Video POLYX LINEA AP. Legrand BT367211. Legrand 342911 Ap Door Station Alu 2D 1 Rt. Legrand 342630 Door Speaker 2D with Display. Legrand 344824 Door Station with Colour Video. Legrand 344163 Polyx Memory Display. Legrand Inox 333114 Front Panel TL+1RT. Legrand/Bticino – MODULE 1 puls. DCHO.. Legrand BTicino (SEKO) Zweifam.-Set Audio 368121. Legrand 344400 Video Display Light Living. Legrand 351011.